The easiest way to avoid the help of service centres when looking for problems is to use the built-in methods of diagnosis the Mac. In this article, we’ll show you How to do apple basic troubleshooting how to run and use the Apple Hardware Test and Apple Diagnostics. With the help of standard diagnostic tools, it is possible to effectively detect hardware faults like problems with the hard drive, solid-state drive, RAM, graphics processor, motherboard and other hardware locations. Regardless of the Mac models like MacBook, iMac, Mac mini or Mac Pro and the year of its release, the operating system includes a utility for self-diagnostics of the hardware. 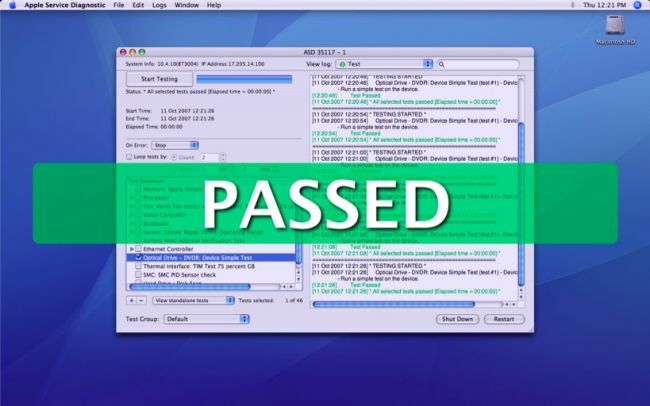 In computers, which were issued in June 2013, it is called ” functional test Apple Hardware”(Apple Hardware Test – AHT), then “Apple Diagnostics”. These self-diagnostic tools are very useful in apple basic troubleshooting. Before running any of the utilities, be sure to disconnect all peripheral devices including optical drives, if such an antiquity is still available, except for the keyboard, mouse, display and Ethernet adapter. In some versions of OS X Lion and later editions, you may need Ethernet or Wi-Fi to start the Internet version of AHT. It is no different from an offline Diagnosis to test apple basic troubleshooting. 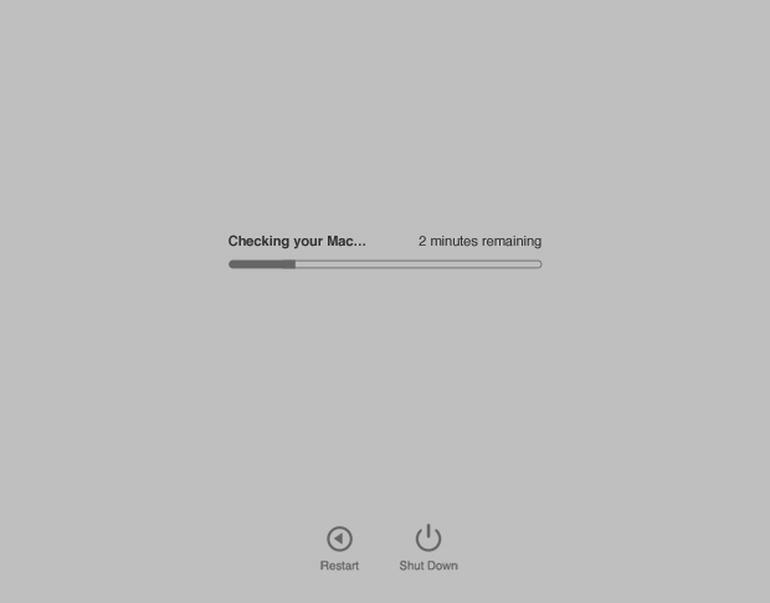 Start or restart the Mac if it is turned on. 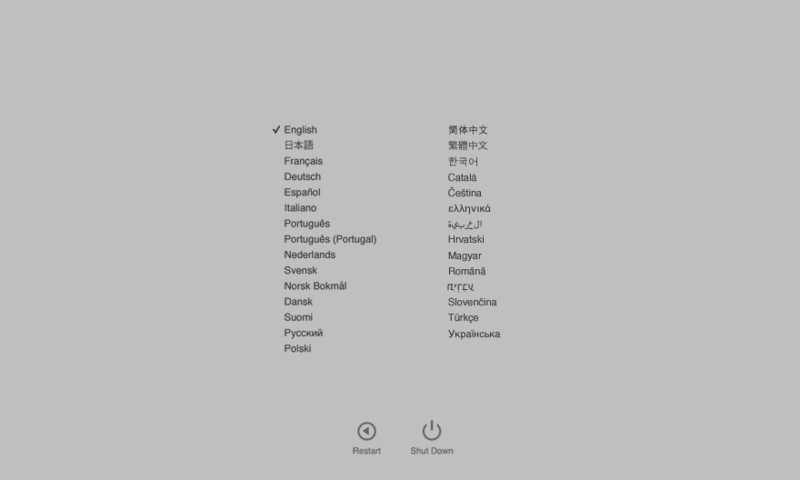 During power-on, press and hold the ” D ” key until the language selection screen appears. Note down the Reference code which is given after test. To exit the AHT utility, click the ” Restart ” or ” Shut Down ” button at the bottom of the window. If a hardware problem is detected during the apple basic troubleshooting test, then prepare to see the error and some explanatory details. It is possible to decipher AHT errors at the Apple technical forum and generally recommend first of all when searching for solutions to problems. ADP000 – No problems found on the computer. CNW001, CNW003, CNW004, CNW005, CNW006 – There are problems with the Wi-Fi module on the computer. NDC001, NDC003, NDC004, NDC005, NDC006 – The camera is defective. NDT001, NDT002, NDT003, NDT004, NDT005, NDT006 – There may be a problem with the Thunderbolt module. Disconnect external Thunderbolt devices and run the test again. If this code appears a second time, contact the service center. 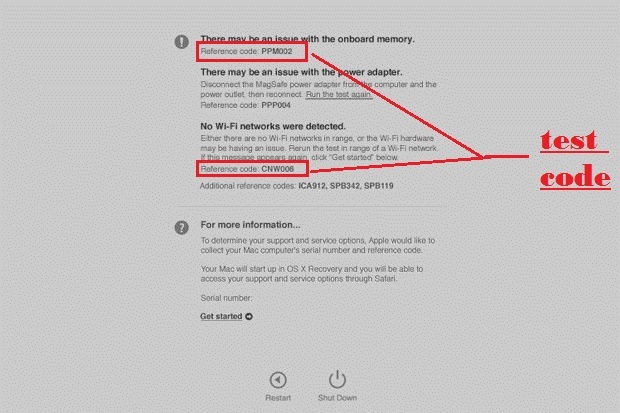 PPP007 – There may be a problem with the power adapter, or it is not connected. To check the power adapter, reconnect it to the computer and the outlet. Run the test again. If this code appears a second time, contact the service center. PPT002, PPT003 – The battery needs to be replaced soon. It is functional, but its capacity has decreased. PPT007 – The battery on the Mac needs to be replaced. The battery is functional, but its capacity has been significantly reduced. Before replacing the battery, you can continue to use it without harming the computer. VFF001 – There is probably a problem with the audio hardware component. In any case, if you can not avoid repair at the service center, we strongly recommend that you only contact certified professionals who specialize exclusively in Apple technology. We also take care of Apple Products and do chip-level Repair. You can Contact us Anytime.